I knew this day would come. I was just hoping that I’d have a couple more months. S is getting tired of the variety in her lunch. “Can’t I eat the same thing more than once or twice?” she asked me yesterday. I reminded her of my blog and my self-induced challenge to come up with 108 different lunches this year. “It’s better than eating the same thing every single day, right?” I offered. To perk up her spirits, I decided to make her one of her favorite things today: bacon. Admittedly, it’s one of my favorite things, too. Pork fat. Yum. And I wonder why my jeans are so tight. I opted for the classic BLT (bacon, lettuce, tomato) sandwich today, but decided to swap out the mayonnaise for some avocado. 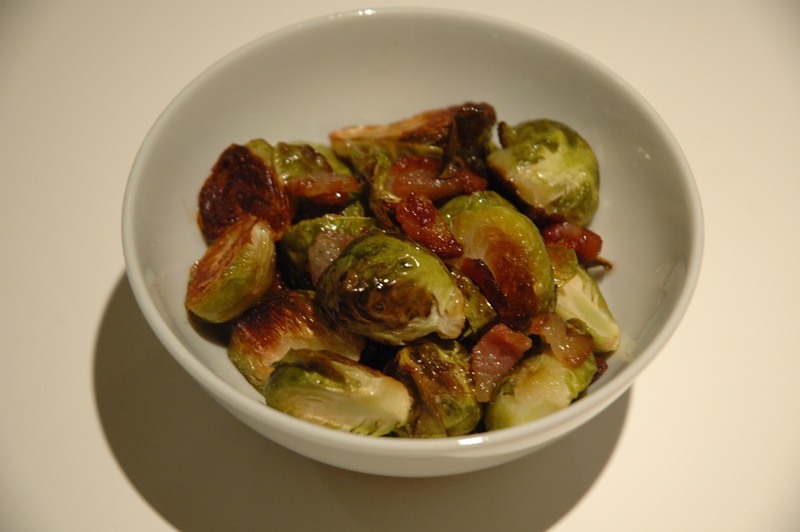 If you have access to it, I highly recommend Niman Ranch’s applewood-smoked uncured bacon. It is out of this world. 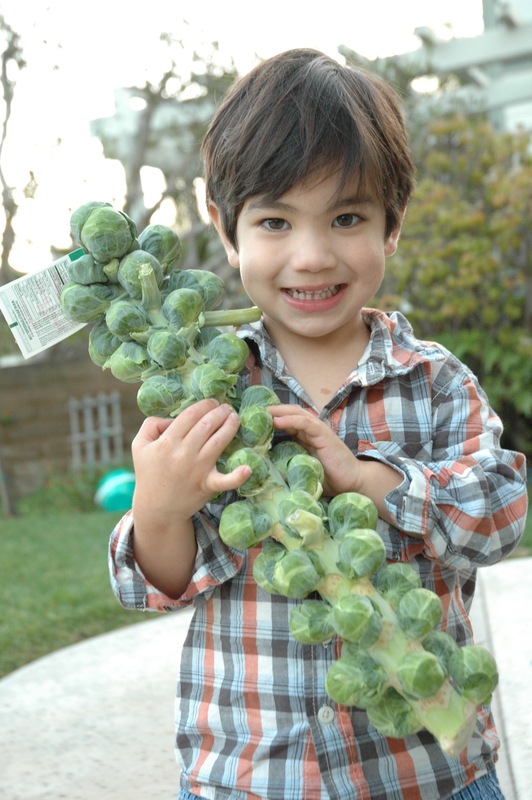 Not only does it taste fantastic, it’s also free of nitrates and nitrites, hormones and antibiotics. Yes, bacon isn’t exactly low in fat, but I like to tell myself that S is also getting lettuce, tomato and avocado with her lunch—all good stuff. Plus, I loaded her up on fruit, lots of yummy grapes and clementines. It’s all about balance. But that delicate balance may get upset if I have to dedicate an entire category to bacon to get S and me through the school year. 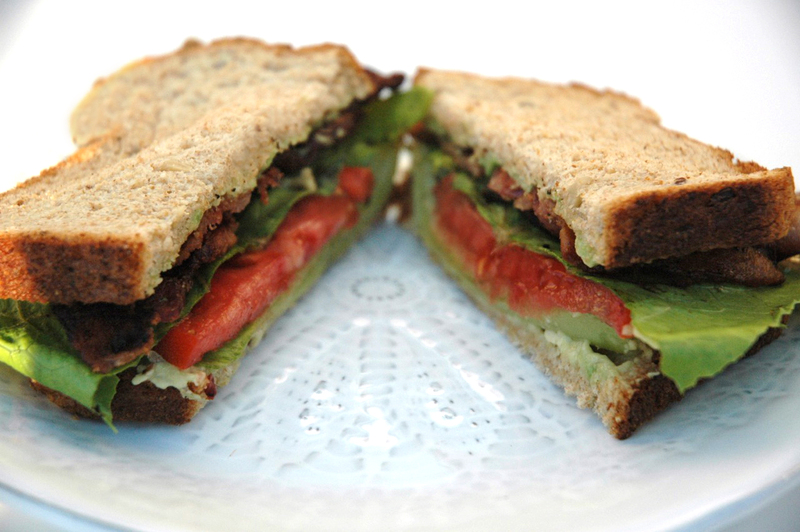 Instead, I simply made a mental note that BLTs would not be in her future. Then, I gave the leftover bacon to my sweet German Shepherd. Monday always catches me off guard. I get out of the routine of packing lunch—especially following a holiday—and then it seems more arduous than usual. Today’s no-cook lunch was inspired by a recent cross-country flight. Since none of the airlines offer free food anymore, they’ve upped the ante with choices for food for sale. Last month, we tried United’s tapas box and it was surprisingly decent. In fact, S loved it. Tapas is basically a meal composed of little appetizers, or as I like to call it, “a little bit of this and a little bit of that.” What kid doesn’t like small portions of lots of different things? I’ve been waiting for a time-crunched day to pull this trick out of my hat. 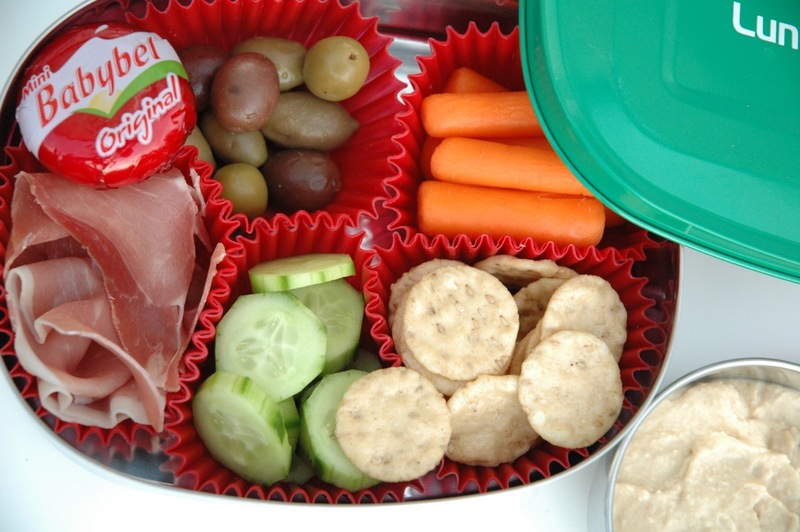 I lined my stainless steel Lunchbots container with five silicone muffin liners and filled them with olives, baby carrots, sliced cucumbers, prosciutto (which could just as easily be ham, turkey or roast beef), and rice crackers. For a little more protein, I included a mini Babybel cheese. I also packed hummus in a separate container for dipping. Lastly, I threw in a whole apple. Lunch was packed in a matter of minutes. And you know what? It was kind of fun. It’s not even Thanksgiving yet, and already I’m think about leftovers! I was so excited to try this that I simply couldn’t wait. The idea came to me when I was shopping for Thanksgiving and saw a goat cheese log wrapped in cranberries. Mmmmmm. 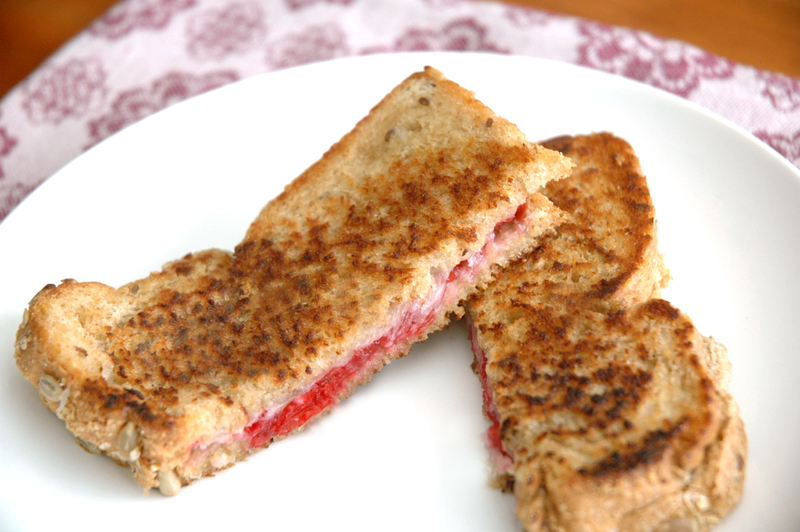 Then, I thought: why not a grilled goat cheese cheddar sandwich with cranberry relish? The goat cheddar was what I had in the fridge, but I think it’d be just as delicious, if not more tasty, with Gruyere. Yes, I admit, I buttered both sides of my mutligrain bread (not a true grilled cheese without butter, right?) and then grated the goat cheddar over both sides. I put both pieces in the skillet on medium and let them get nice and toasty, and golden brown. Then, I spread a layer of orange-cranberry relish over the melted cheese. I topped it with the other side and, voila, I was done! C loved, loved this sandwich. But this is the same kid who eats spoonfuls of cranberry sauce. He had to fight me for the last bite. Happy Thanksgiving! I have a soft spot for this recipe. My friend, S, first made this for my family shortly after I had given birth to C. At the time, I was sleep deprived, failing at the transition to having two kids, and so mentally and physically exhausted that I couldn’t bear the thought of cooking. Thanks to the awesome moms in my neighborhood, I had dinners brought to me three times a week for a month. 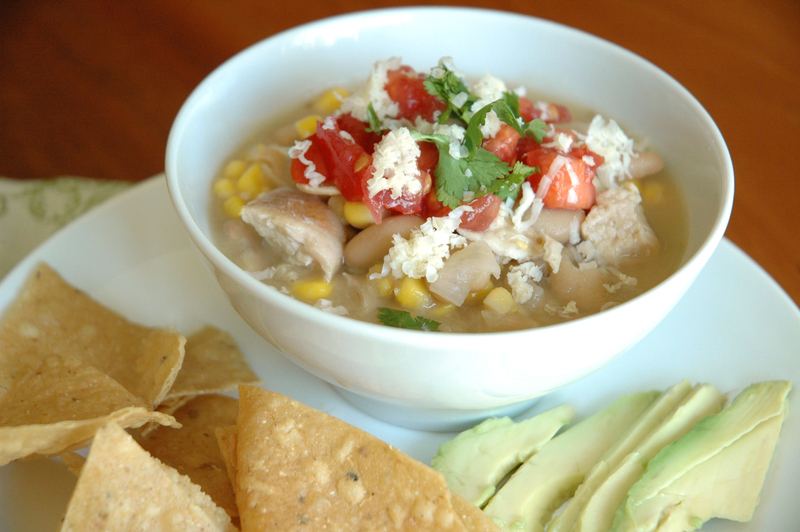 I distinctly remember the evening S brought over this white bean chili. Everyone was starving, cranky and desperate for comfort and sustenance. In walked S with a big steaming pot of chili. I swear she had a halo over her. And she had an assortment of toppings for the chili: crushed tortilla chips, tomatoes, sour cream, cheese, etc. It was satisfying in all the right ways, and super fun for my daughter who got to piece together her own meal. That same week, I asked S for the recipe and I have been making it ever since. Sometimes, I add cumin-rubbed, grilled chicken; other times, I opt for cumin-spiced, grilled shrimp. In either case, it’s always a hit with the family. If you’re in a pinch, you could easily chop up some store-bought rotisserie chicken. This recipe is very, very simple, and takes hardly any time to cook. The kids have a blast scooping chili with their chips and tailoring the toppings to their liking. When I packed it for S’s lunch this morning, I put all the condiments in a separate container, so she could create the perfect combination at school. Garnish with shredded cheese, crushed tortilla chips, chopped green onions, diced tomatoes, chopped fresh cilantro, sliced avocado, or sour cream. It was one of those whirlwind weekends, where Monday showed up way too soon. I simply was not prepared. The refrigerator was already empty again, so I scrounged in the freezer to see if I had any frozen entrees I could send for lunch. Way in the back of the second shelf, I found some Trader Joe’s Chicken Egg Rolls I bought a few weeks ago. It was the first time I bought them, so I’ll report back tomorrow about whether or not S likes them. I put two in the toaster oven for S and one for me—I wanted to try them, too. 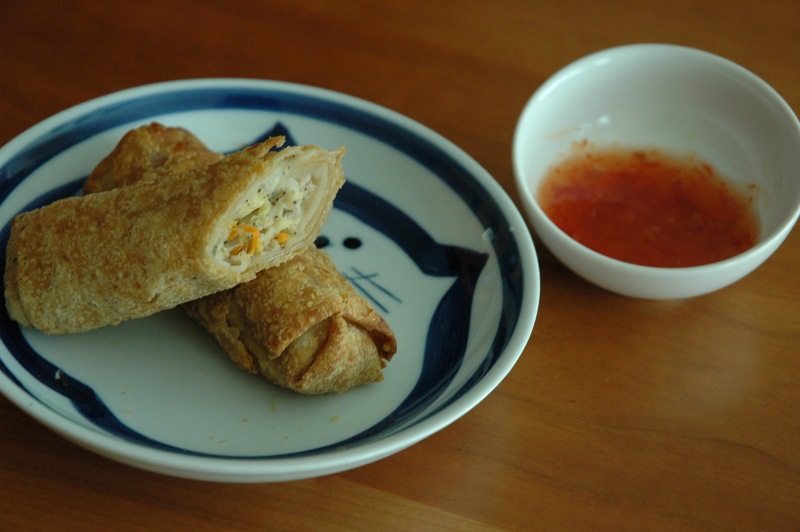 The egg rolls are filled with white chicken meat, Chinese cabbage, bok choy, bamboo shoots and carrots. I was afraid they might be a little bland and a little dry, so I served a little sweet chili dipping sauce on the side. Honestly, they’re not anything special. As I suspected, they were on the bland side. But since I’m not the one eating them for lunch, I’ll wait for S for the final verdict. However, if I’m going to eat little spring rolls, I’ll stick with Trader Joe’s Lemongrass Chicken Stix or its Coconut Chicken Stix. Both are more flavorful. Let me apologize upfront: this was yesterday’s lunch, and it was a crazy morning. I had to take S to school, and haul C with me, and look presentable because I was going to watch a performance that S and her classmates were putting on. I was wondering if I even had time to pack S a lunch, but I really wanted to, because of all the food I have in my fridge. 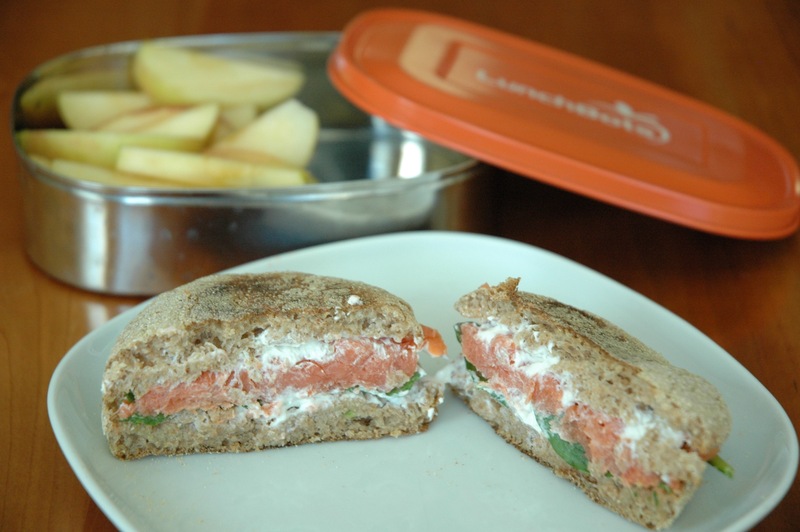 Plus, I wanted to make her a sandwich that was inspired by our trip to Portugal. Not to mention, school lunch can be so very bleak. With all that said, I’m apologizing because lunch looks like a train wreck today. If you ever wondered what it would look like if smoked salmon got in a fist fight with cream cheese, you’re about to find out. I’m almost embarrassed to post it, but it is what it is. And it represents the truth for many of us, which is a harried mom frantically packing lunch and trying to get everyone to school on time. I grabbed a whole wheat English muffin (I would’ve preferred a little a baguette, but didn’t have one), lightly toasted it and then spread some cream cheese on both sides. I piled some smoked salmon on one side and really, really wished I could put some thinly sliced cucumbers on top, but alas, I didn’t have any. I knew we had some baby spinach leaves, so I grabbed a small handful and put it on top of the salmon. This was risky, because S doesn’t like spinach. But I couldn’t let the sandwich go to school without some greens on it. I was betting that S would eat the spinach because she wouldn’t want to go to the trouble of picking it off. So was I right? Did S eat the spinach? “Did you eat the spinach on the sandwich?” I asked. 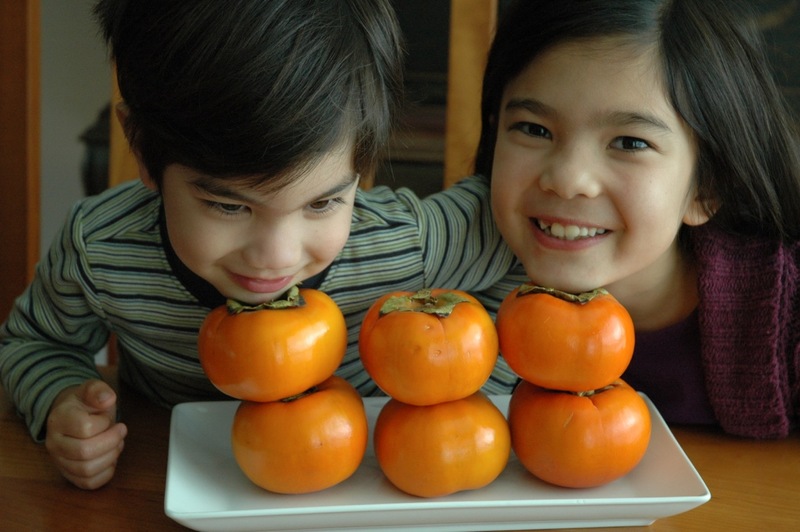 That just goes to show you: we should never assume we know what our kids will or won’t eat. It’s always worth a try. After all, they just might surprise us. Okay, okay, they’re more like little egg frittatas. But they were baked in silicone cupcake liners. Doesn’t that count for something? The idea for these came about when, K, a friend up the street mentioned that she hadn’t made quiche in a while because her family had gone gluten-free. 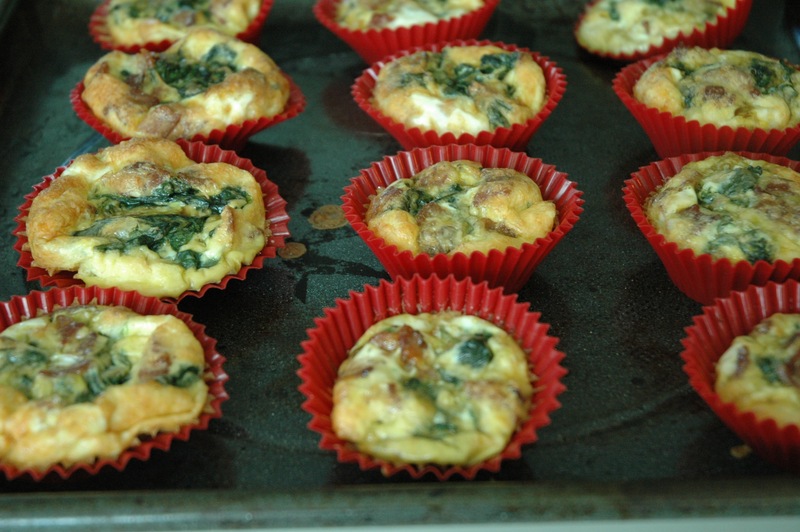 That inspired me to make a crustless quiche, but I was also wondering how I could turn it into a little handheld breakfast that the kids could eat in the car on the way to school. Sure beats an Eggo waffle, right? Enter: silicone muffin/cupcake liners. They’re the perfect size for individual servings, and they make clean-up a cinch. Since we limit dairy at my house, I decided to drop the heavy cream you usually find in quiches. That turned my quiche into more of a frittata. First, I beat 6 eggs with 1 cup of egg whites. (I knew I wanted about one egg to one muffin.) Then, I chopped up five slices of bacon and crisped them in a skillet. I drained the bacon over some paper towels, and then drained all the drippings from the pan, except for 1 tablespoon. 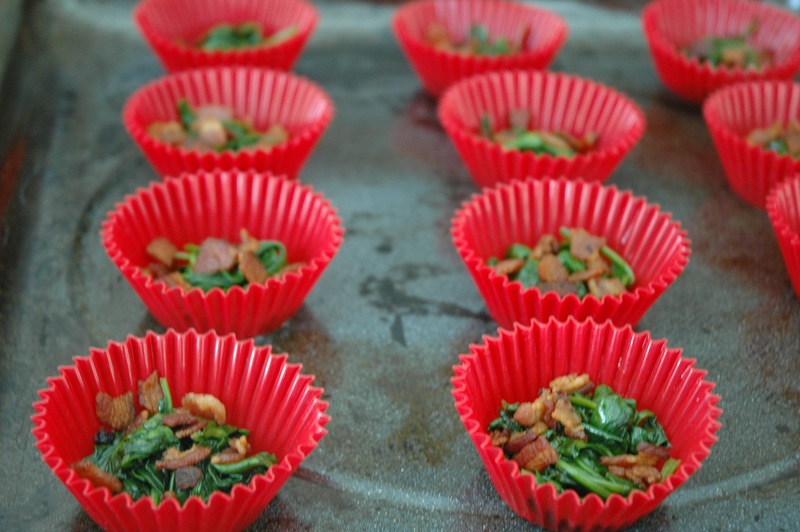 Then, I sautéed 3 large handfuls of baby spinach in the bacon fat. After all, bacon makes everything taste better. I put the liners on a baking sheet and dropped a little mound of spinach in each liner, followed by a sprinkling of crunchy bacon and monterey jack cheese. Then I ladled the beaten eggs over the top. I baked the frittatas at 375 degrees for 30 minutes. Next time, I might consider making a well in the spinach and filling it with the eggs. The results? C happily ate his “cupcake” and S, well, not so much. I froze the rest in a large Ziploc, so I can pop one in the microwave on a hectic morning. It’s looking like it’s going to be a week of leftovers for lunch. And it’s starting with the Tuscan chickpea soup I made last night. After we got home from Portugal, I went a little crazy at the grocery store because our refrigerator and pantry were so barren. Now, everything is stuffed to the limit—a good problem to have—but I’m also a bit stressed about cooking all the meats and vegetables before they go bad. My plan is to cook large batches of dinner and send the leftovers for lunch the next day. It really is the easiest solution. That way, I don’t have to think about lunch. 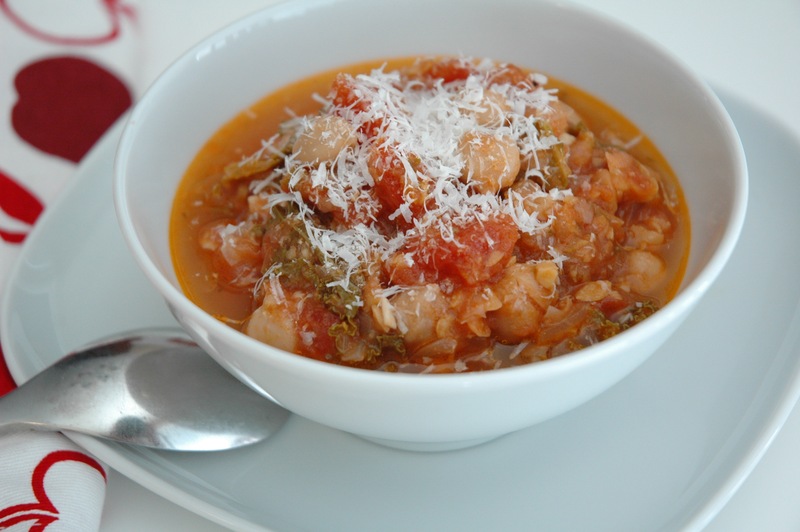 Years and years ago, I found the recipe for a Tuscan chickpea soup in the October 2001 issue of Cooking Light. 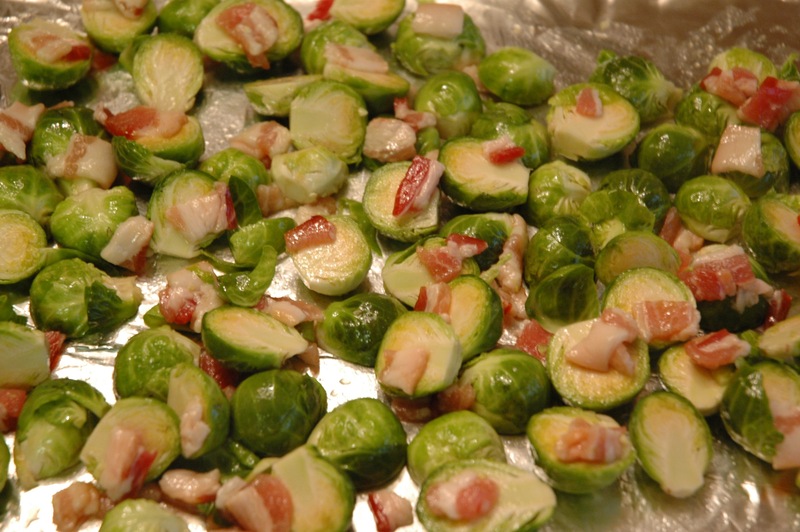 It is a simple recipe that yields great results. Plus, it freezes really well. I will admit, it’s nothing exciting, but that seems to work well for the kids. The recipe calls for water, but over the years I’ve switched to chicken broth to give the soup a bit more richness. I’ve also doubled the amount of tomatoes to give it more flavor. And because I’m always trying to get more kale into our diets, I like to chop up some kale and throw it into the soup as it simmers. If I’m out of kale, I use baby spinach leaves. Since they wilt pretty quickly in the soup, I add them at the last minute. Lastly, I like to serve the soup with grilled chicken or Trader Joe’s chicken-apple sausage. The sausage comes fully cooked in the refrigerated section. I usually warm it on the grill or in a skillet. Don’t forget to sprinkle the grated parmesan or pecorino over the soup. It makes a big difference! Heat the olive oil in a Dutch oven over medium heat. Add onion and garlic, and cook for 10 minutes, stirring frequently. Stir in the broth and the next 6 ingredients (broth through kale, if using), and bring to a boil. Reduce heat, and simmer 20 minutes. 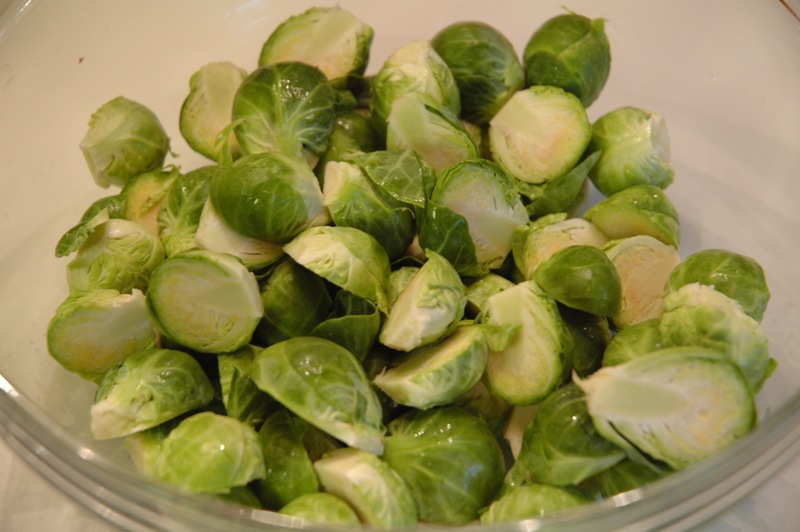 Place 2 cups in a blender or food processor, and process until smooth. Pour the pureed soup into a bowl. Repeat procedure with 2 cups soup. Return all pureed soup to pan. Stir in the vinegar, and bring to a boil. Remove from heat. 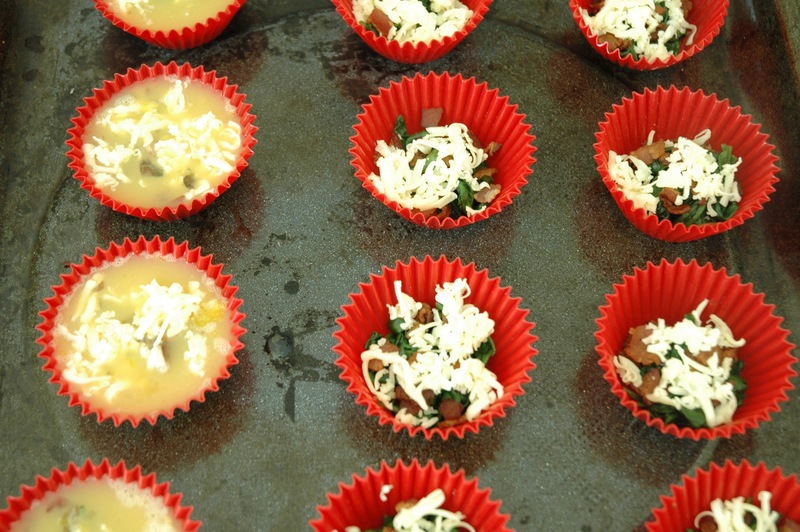 Spoon soup into bowls and sprinkle with grated cheese. Yield: 6 servings.